After six months racing at Aqueduct, a place despised by 100% of the scribes that cover the sport for the daily newspapers the racing operations move to Belmont. The meet opens up with a lot of interesting notes; reduced base wagers, the return of the train to the track, and the annual stakes shuffle. Pick four? Can barely pick one! 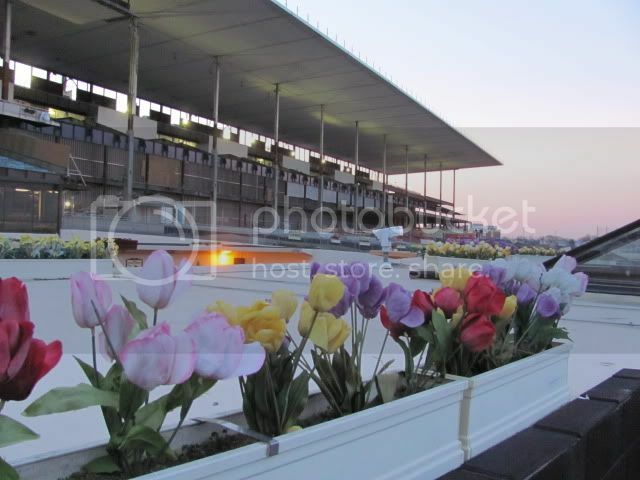 The base wager for the pick four is now fifty cents with the start of the spring/summer meet. Anything that can bring more players into a lucrative wager is always a positive thing. The dime superfectas are a staple at the NYRA racetracks since its inception in 2007 and the Gulfstream dime pick six built up a pool of five million on the mandatory pay out day at its most recent meet. The low base wagers are a wonder for the bankroll for any horseplayer, they offer the chance for a big score for a low risk. Offering the pick four wager at fifty cents gives one a chance to include more runners in one race as back up if a race is a skull buster. A pick four that is 4x4x4x4 would cost $256 a year ago will now be half of that. The downside to this is that a single longshot does not inflate the payoffs for the wager like it used to. The best strategy for this new base of the wager is playing some combinations more than other combinations, ensuring that you are paid a fair price for your opinion. 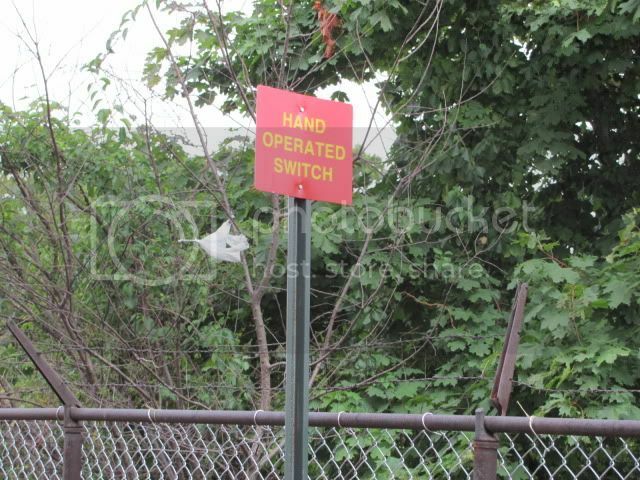 The LIRR is restoring daily service back to its Belmont branch; you’re welcome. More than likely this train will see an automatic increase in commuters due to the OTB branches not being open. Instead of the regulars going to the 38th & Broadway OTB parlor they will likely be walking four blocks to Penn Station to catch the early double. Deeper than the fact that racing fans have their own rail service returning is the fact that getting the MTA to return defunct or abandoned service is really hard to do. 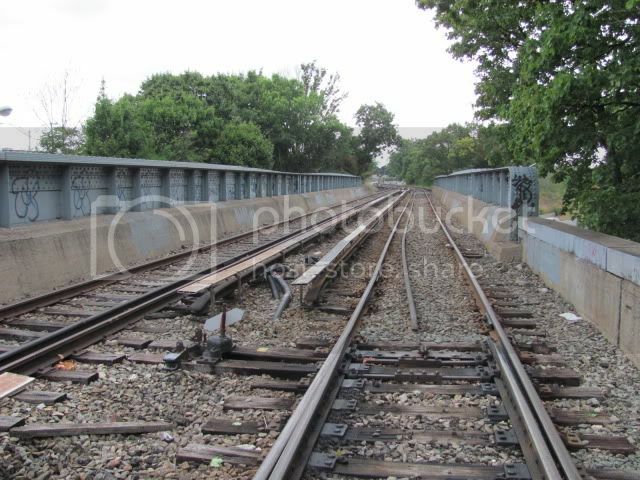 The subway out to Aqueduct was at one point run by the Long Island Railroad. 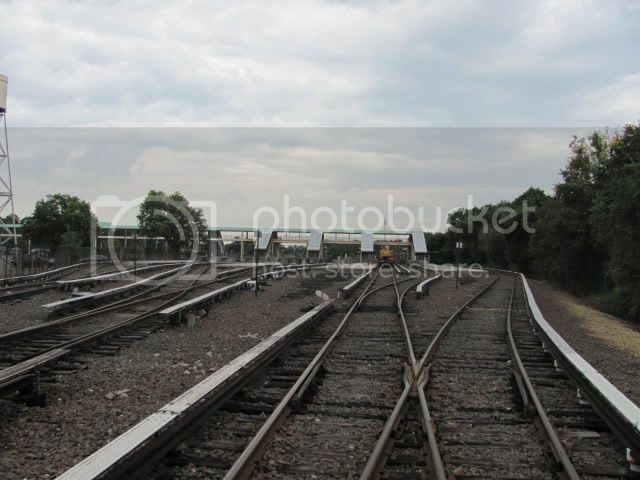 The NYC Transit Authority bought the whole line in 1955 and they only kept the trains in service from Aqueduct out to Rockaway as part of the A train. 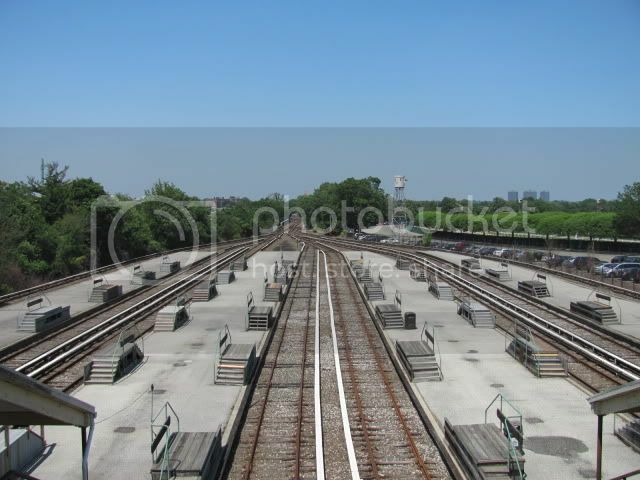 The line used to start at Rego Park and if they kept that around today there would be no need for the Air Train. The Matron and Belmont Futurity are back on the schedule in a new spot on the Independence Day weekend. It has been reduced to six furlongs and will go up against the Churchill juvenile races to be run on that same weekend. Both of the Belmont counterparts will probably draw five and Pletcher will have three in each race, one of which will probably be 1/10 and lose. The Peter Pan is back as well and in its customary place on the weekend between the Derby and the Preakness. The stakes races on the NY circuit has been shifted around a lot in recent memory, the Withers was not run last weekend and in its place was the Jerome. 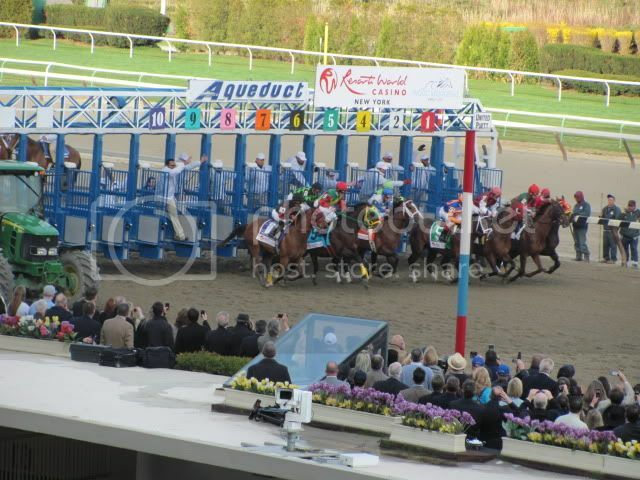 The Bed O’Roses will be at Belmont for another year after spending decades at Aqueduct. The Gazelle was at Aqueduct last year after spending years at Belmont as a last run to the Breeders’ Cup. The changes to the stakes schedule reflects more on how little trainers and owners want to run their horses now as opposed to forty years ago when there was a big race every weekend on the NY circuit. Race-caller Tom Durkin has stepped down from his triple crown announcing gig. It was a decision that Durkin considered for months. "It’s a tough professional decision, but a great personal one." For the horse racing nation this a tough pill to swallow. Durkin carries around a book with thousands of phrases - it is this dedication and hard work that turns talent into brilliance. If I hear scintillating one more time at the Breeders Cup I am going to have to personally fed-ex a Roget's thesaurus to California. A triple crown replacement has already been named for Durkin; Larry Collmus of Suffolk Down/Monmouth/Gulfstream fame has been tabbed. This move from Durkin to Collmus is a huge step down. We go from the Tom "Cadillac" Durkin to Larry "Honda Accord" Collmus. Like the Honda Accord Larry is a reliable sort but unfortunately both the Accord and Larry are forgettable. Larry lacks the ability to convey any sort of drama like Tom Durkin can. Collmus is not a bad caller -he is actually one of the best -but he has the unfortunate fate of following the greatest announcer since the invention of the microphone. Tom Durkin has a background in theater; there is not one racecaller in the country that can project the drama of the race into his racecall like Durkin can. Others can scream, they can yell, or they can recite their fill in the blank racecalls but nobody can get close to the variety and feel for the moment that Tom Durkin brought to big-event racing. Tom is in a class by himself and will be missed by many. First Impression: He put in a good run to capture a pivotal race leading up to the Derby. The case for this horse winning the Derby: It looks like the Derby has a good amount of speed that is going to go in here, this one has shown an ability to lay off the lead and make a late bid past some tiring front runners. He has a pair of stakes wins this year, which was not done by many up to this point. The case against: The saying, “If you missed the wedding, don’t show up for the funeral” could very well apply to this one. His two stakes wins were high-octane payouts and off a high profile win he will likely attract a bit of support. Since Smarty Jones won the Arkansas Derby back in 2004, this race has been a “hot race” for Derby or high profile stakes winners. 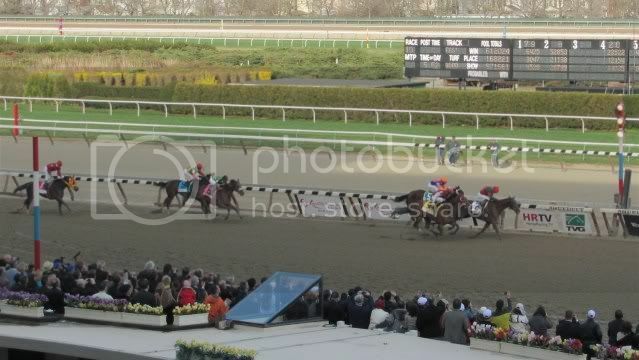 Afleet Alex, Lawyer Ron, Curlin, and Super Saver used this race for bigger and better things. Derby prep races are a fickle bunch. The Wood Memorial went nearly two decades from Pleasant Colony to Fusaichi Pegasus with horses unsuccessfully using this race to launch their run at the roses. Location of the last prep races as a handicapping angle is at best a trivial angle, more importantly it is the extenuating circumstances surrounding the last race. Last year Super Saver ran on a conveyer belt surface and it toughened him up for his Derby run. In 2008 Big Brown circled a field from post 12 at Gulfstream en route to Louisville. The point being it is not where they race, it is how much they get out of the effort. With that being said, this son of Arch has shown a dimension that gives him an edge over his front running competition. Only four days away from the opening of the spring/summer meet at Belmont highlighted by many important stakes races, including the Metropolitan Handicap and the Belmont Stakes. 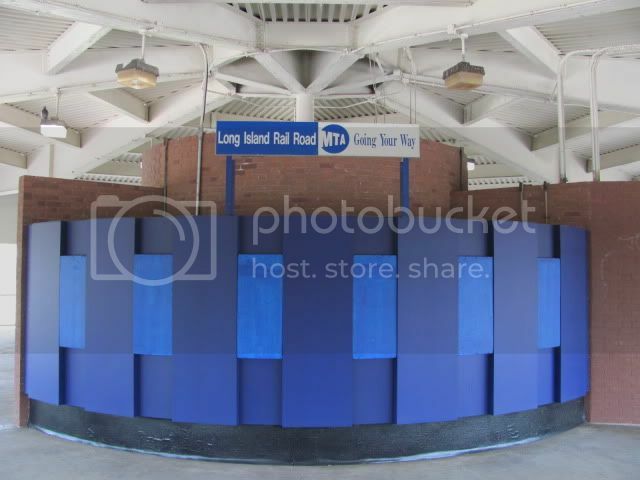 The MTA website has no posted regular LIRR train schedule for the meet, meaning that they will likely have only two days of commuter trains stopping at big sandy (the day before the Belmont Stakes and the day of). 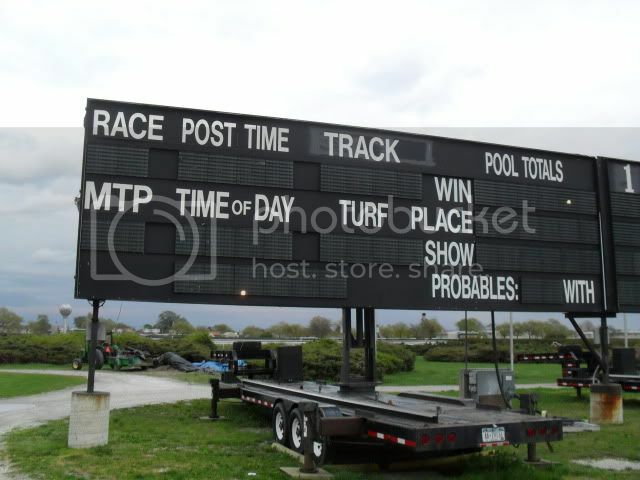 With the closure of NYC Off Track Betting, this will surely drive up the attendance of Belmont with people having to visit the track to bet the races if they do not have a NYRA rewards account. When the MTA stopped service out to the racetrack it was due to low ridership and it being a money losing route due to the first reason. Now that the Off Track Betting locations are no longer open the ridership for this train branch would surely increase. The bus service NYRA offered from certain branch locations to Aqueduct and it looked like it did well in getting fans to the track. 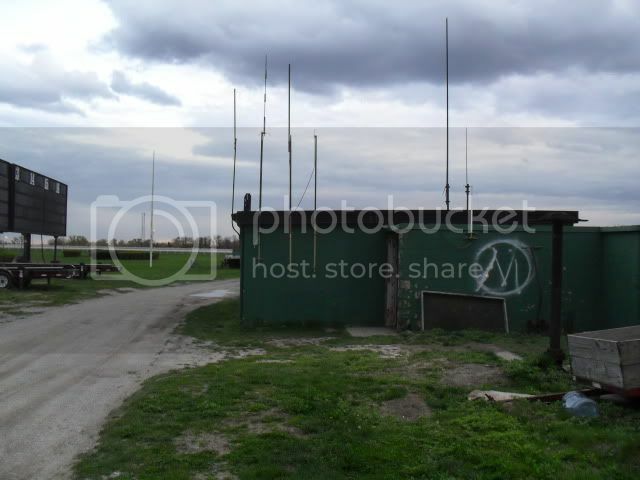 Aqueduct saw an increase of double the amount of fans that went through the turnstiles from the 2009-2010 winter meet. Why fiddle with ten or twelve horses when you can narrow down the winner of the Kentucky Derby to three horses. With so many flops this year and with a uninspiring decline in competition it was easier to separate the cream from the milk. Racing was just awful all winter in New York -it usually is- below par in Arkansas and putrid in former derby breeding ground California. Louisiana had a good meet at the Fairgrounds. The only strong racing in the country was the grand restoration that occurred at the Gulfstream meet. They had a banner meet there this year and produced two of our three contenders with all three spending time in South Florida. "When they flew back to Florida, Dean went immediately to the hospital, where he presented Coa with a check for $18,000, matching the winning cut for the jockey of record in the Risen Star. "Had Eibar been there, he could have ridden him to victory, too," Dean said. "We paid him as if he'd been on the horse."" These are people I can root for and and I hope God has a nice surprise planned for them the first Saturday in May. 2 - Soldat - This is a big rangy colt that has proven that he can run on grass, dirt and slop. Horses that can run on any surface are just flat out talented. He was able to take down the Holy Bull which was a strong prep race at Gulfstream. His team of connections is strong with Kiaran McLaughlin calling the shots and Alan Garcia handling the reins. Distance should be no issue and if you can excuse his last race as a training lesson there is value here as well. 1- Dialed in - This guy is the likely favorite for the Kentucky Derby and it is deserved. Initially I thought we were dealing with Ice Box part two here but since then I have done an about face on this colt. He is a strong closer, has worked out his lead changing issues and is being handled by two masters in Zito and Leparoux. The trainer provides the derby mastery and the Leparoux knows Churchill better than anyone - even Borel. Dialed In emerges as the king out of the tough Gulfstream Park meet. This is like a boxer emerging out of Philly or a handball player that is tops in Coney Island. This guy is going to be closing in the derby and will be very hard to keep im out of the frame. The one to fear at a short price. The champ is back. From the date of his last race on December 11th until now food has not tasted the same, the air has not smelled as fresh, and racing has not been the same. There have been three major snowstorms since Stormy's Majesty went on an extended break, clearly this was a sign from nature that it was not pleased with the absence of his majesty. While others have vainly tried to claim the empty throne left by the Galluscio rocket, Stormy has been biding his time waiting for worthy challengers. This race is just a harbinger of things to come, last year writers clearly marked their horse of the year ballots wrong due to blurry vision, acute headaches, or general malaise despite sound reasoning and an altered ballot to help the less technologically inclined. This year will be the year of Stormy's Majesty! All hail Stormy! Since Affirmed crossed the finish line ahead of Alydar back in 1978 there hasn’t been a sweep of the Triple Crown. That may have been the pinnacle of this treasured series. The year after there was Spectacular Bid who was presumed to have no peers able to defeat him. 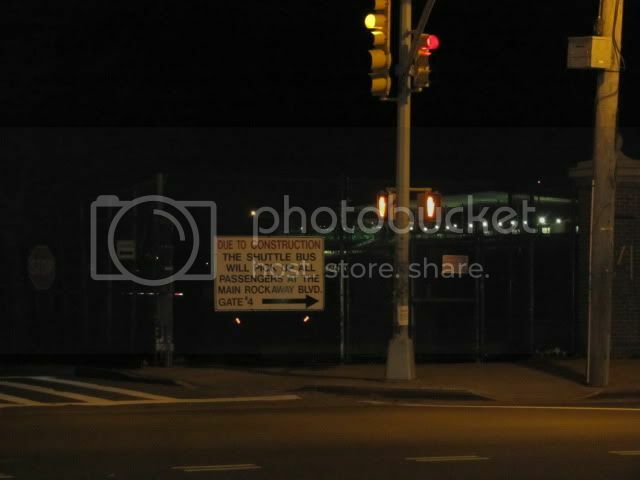 A safety pin, a bad ride, or a combination of both did in the infallible Spectacular Bid. There have been great thoroughbreds that have fallen short of the grand prize since then; Alysheba, Sunday Silence, and Silver Charm come to mind. Another Triple Crown may just not be in cards. There has been numerous horses who have won two out of three in the series only to fall short in one of the legs based either on a bad trip in the Derby or losing a close finish in the Preakness. The Kentucky this year will be a 20-horse mess as it has been for the last decade or so. The Preakness usually exposes a weak Derby winner or vindication for a Derby favorite that endured a poor trip and the Belmont is a dirt marathon that trainers have forgotten how to train for. From 1997 to 1999 there were three chances at racing’s crown jewel; Silver Charm, Real Quiet, and Charismatic fell a combined 2 ¼ lengths short in the Belmont. Not counting the 2004 bid of Smarty Jones or the 2008 attempt by Big Brown, this time period of the drought was probably the best chance at seeing the sweep. In 1997 Silver Charm was in a thirteen horse Derby field, which by 2011 standards seems like a small field for this race. Silver Charm had all but one of his main rivals in his crosshairs for the first mile of this race and passed them by the eighth pole and held off a hard charging Captain Bodgit. The Preakness that year was one for the ages, a three-horse charge to the line with Silver Charm digging in and defeating his southern California rival Free House and gamely denying Captain Bodgit. Touch Gold had a rough start and an overall bad trip, but finished a solid fourth not far behind the top three. The last leg was the one that did Silver Charm in. After battling Free House throughout the whole series he put away the rival gray and could not hold off the late charge of Touch Gold, who had an incident free trip around the Belmont oval. Real Quiet was the lesser known half of the Baffert duo that made their way to Louisville in 1998, Indian Charlie was the favorite off his prosperous winter in California. Real Quiet put away his better known counterpart by mid stretch and held off Victory Gallop. The Preakness changed shape with the scratch of Coronado’s Quest, a talented but temperamental colt that skipped the Derby to avoid the circus atmosphere of the big race. Coronado’s Quest was the morning line favorite for the Preakness. Real Quiet won the race by two lengths over Victory Gallop, they both moved at the same time leaving the backstretch and going into the final turn. The 1998 Belmont is one of the better known renewals of this race. Desormeaux moved Real Quiet early and at one point Desormeaux had the colt in front by six lengths. Victory Gallop, piloted by Gary Stevens waited a little bit longer to make a bid for the win and it paid off with one of the closest finishes seen to decide the Triple Crown since the 1978 series. Charismatic was a rags to riches story, available for a claim twice and won the first of many crowded Derby fields that had 19 horses with a clean trip while his counterparts had rough trips and lots of excuses going to Baltimore. Charismatic’s 31-1 upset did little to scare off the competition with a full field signed on to challenge with one notable scratch. Silverbulletday was entered and withdrawn after getting the wide 13 post, she won the Black Eyed Susan a day before the main event. Charismatic won by 1 ½ lengths over Menifee who was second to Charismatic in the Derby as well. With nine starts to that point in the year, a total of 16 races in his short career, and a stamina pedigree it seemed like he stood just as good a chance as the last two to win it all. Silverbulletday was entered in the Belmont Stakes and was the pace setter with Charismatic a close second before assuming the lead on the far turn and failing to hold off the charge of a pair of longshots, Lemon Drop Kid and Vision and Verse. A triple crown winner has been sought after since the glory days of the 70’s when there were three in one decade, those three are still revered as the some of the greatest to ever set foot on a racetrack. The desire to see a horse pull the hat trick has caused the public and media to latch onto horses that for some reason or another just couldn’t pull the feat off. Big Brown had a bad hoof going into the Triple Crown and it was exposed at the wrong time, Smarty Jones was a victim of his success with jockeys putting a big bull’s eye on Stewart Elliot’s back, and Funny Cide had to deal with a rejuvenated Empire Maker. The chances of seeing a Triple Crown winner ranks up there with losing with a straight flush in poker. Trainers have a different mindset from their counterparts from thirty to forty years ago and horses have less stamina in their pedigree than three decades ago thanks to farms breeding for speed and juvenile brilliance. If a horse does sweep these races in the near future it may be a bigger accomplishment than it was 33 years ago because of the last two statements, although the chances of it actually happening are slim. 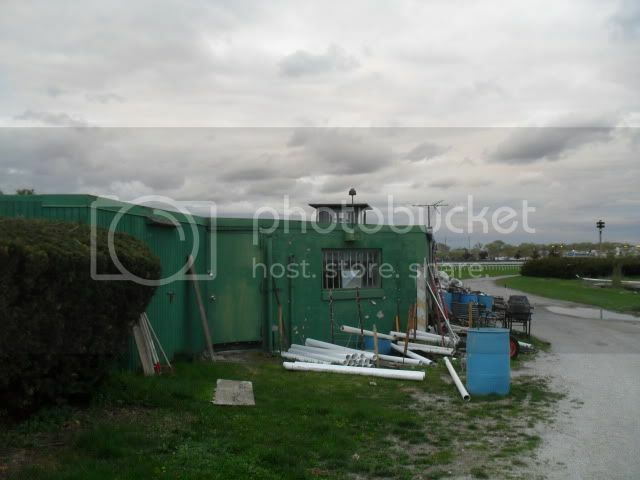 Recently I posted photos of the paddock and trackside near the finish line area at Aqueduct (seen here). Last year around this time I managed to get out to the infield and had a camera with me, the rest as they say is history. 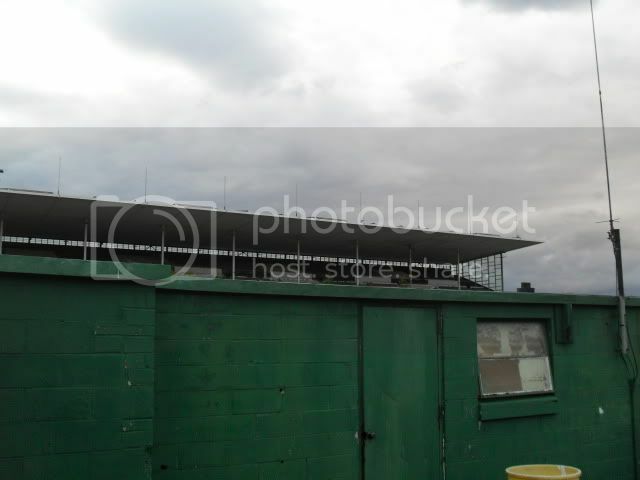 The grandstand was still around back then. First Impression: He certainly looks exposed after that Wood Memorial. The case against: He probably has some distance limitations like Favorite Trick did. He hasn’t had a tough work schedule since his Breeders’ Cup win. Other top prospects have been solidifying their postions while Mo was vacationing at Palm Meadows. Thanks Pletcher, nice training job. If a heavy favorite loses it should finish off the board, not a meager third saving the bridge jumpers from an embarrassing loss. In addition to that Uncle Mo losing destroyed the pick fours and pick sixes that had him singled. Imagine being alive in a pick six that started with 8/1 and 6/1 winners and having what looks like a mortal lock as the single. It feels good, right? The 1/10 shot runs like a 10/1 plug, not such a great feeling anymore. 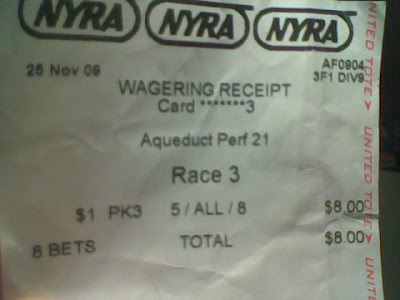 The pick six players had to have played those tickets off site, because the lack of property damage and no rioting at Aqueduct after that loss with so much money riding on one horse is astounding. 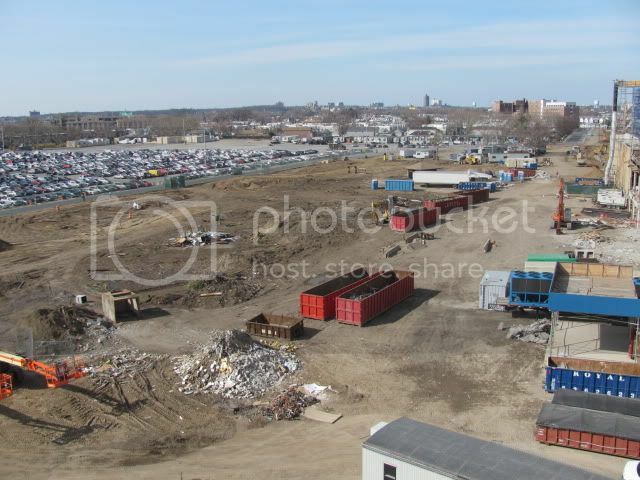 There has been rioting at Yonkers Raceway for less. For selfish reasons I wanted to see Uncle Mo win the Wood. Not because I had any money on him, but for the reason that it would be a nice finish to this series. It is like a writer at Game 6 of the 1986 World Series cheering for the Red Sox to win for the reason that the article they wrote was completed; a change in the outcome will cause massive changes close to a deadline. Instead of a strong finish to this series now it will limp to the finish line like Uncle Mo, thanks Pletcher. First Impression: His Florida Derby was nothing great, but he beat the Wood Memorial winner in the Gotham. The case for this horse winning the Derby: There has been a long and storied history of lesser known stable-mates outrunning their more famous counterparts in the Derby. Real Quiet won instead of Indian Charlie, Thunder Gulch was victorious over Timber Country, and Sir Barton got to the wire first instead of Billy Kelly. Who am I kidding, instead of beating around the bush on this one I might as well come out and say it. BET THE HOME EQUITY LOAN ON THIS ONE, HAVE WE NOT SEEN THIS OUTCOME BEFORE? LOOK ABOVE, THAT IS THE BEST HISTORY STATISTIC YOU WILL SEE LEADING TO THIS DERBY. DOSAGE? MORE LIKE NODOZ, THE ABOVE STATISTIC IS ONE THAT YOU CAN TURN INTO YOUR OWN PERSONAL ATM. The case against: Only two races with his most recent being a poor showing and got his season started in early March, sounds slightly familiar. The winner of the Gotham as not had a great recent history at all. Awesome Act was the “wise guy” horse in the Derby last year and that did not end well. I Want Revenge won the Wood Memorial and hasn’t been the same since his injury leading up to the Derby. The last horse that went on to any significance after their win in the Gotham was Red Bullet back in 2000, when he stunned the racing world by defeating Fusaichi Pegasus in the Preakness. Stay Thristy looked good in his layoff comeback victory with his first victory around two turns and shaking off the rust of a long break. Third off the layoff with some foundation and the recent poor effort will certainly offer some value. In his last prep for the 2011 Kentucky Derby did not look the part of being an invincible running machine. Most of the talk up in the Manhattan Terrace was "how good is this horse" and "the only hard test for this will be the Belmont Stakes". It appears now that this horse is just as good as his competition and the hard test for this horse will probably be his subsequent starts against the rest of his generation. Great horses lose, Native Dancer lost his Derby by a decreasing margin and Seattle Slew was defeated after a superb effort in the 1978 Jockey Club Gold Cup. A great horse may lose, but most of the time they still hold that look that they were still much the best in defeat. The way Uncle Mo lost did not give that impression at all, he got to an early lead where John Velazquez controlled the early tempo and saw his margin in front diminish steadily through the duration of the stretch run. The last time a juvenile champion ran in the Wood Memorial was 2008, War Pass was coming off of a poor effort in his seasonal debut in March at the Tampa Bay Derby. He led the pack until inside the eighth pole only to succumb to Tale of Ekati. The parallels between War Pass and Uncle Mo have been uncanny as well. Both ran big races in the Champagne and Juvenile, both waited until March for their first start of the year, and both looked underwhelming in those starts. Usually the case with these types of horses is they are checked on by a veterinarian or go through x-rays and find something wrong or amiss. They are then quickly retired and there is a stud deal quickly reached. It is cynical, but that seems to happen more often than not. The next four weeks have gotten a little bit more interesting with the recent downfall of the divisional champion. The main event of the spring Aqueduct meet is the Wood Memorial, this year the storyline was that this was the prep for the probable Derby favorite Uncle Mo. Uncle Mo went from probable favorite to one of many contenders for sought after prize in about one minute and fifty one seconds. 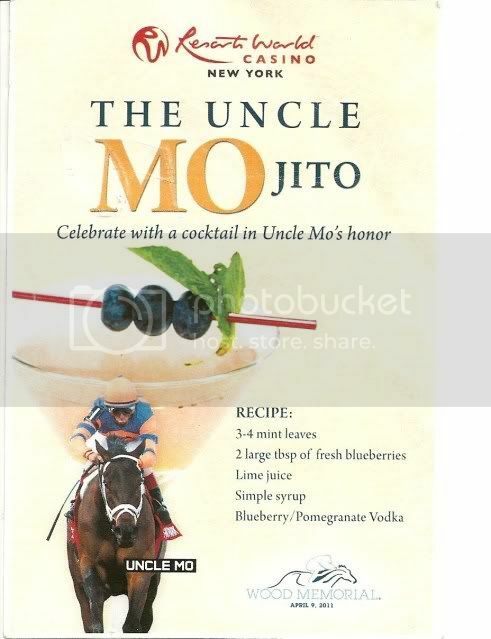 NYRA or the concession company that works with NYRA had a drink special that was called the Uncle Mojito, more than likely this will be the only time you see this drink special offered after today's performance. With a an upset like this you figure some fans would take this loss a bit harder than others based on their financial stake in the outcome or other reasons than that. 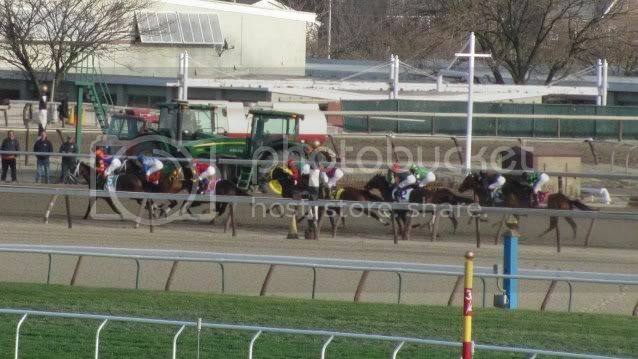 Apparently one fan had a lot riding on Uncle Mo on Saturday. 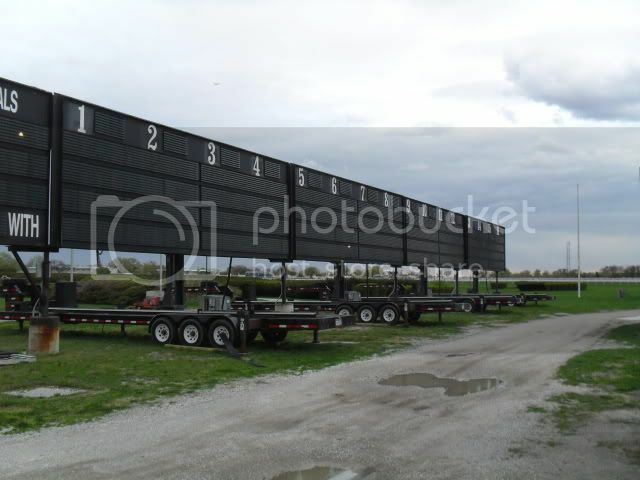 Aqueduct's grandstand has been undergoing a transformation from a place that hosted thousands of racing fans into a casino since November and is expected to open its doors sometime during August or September. 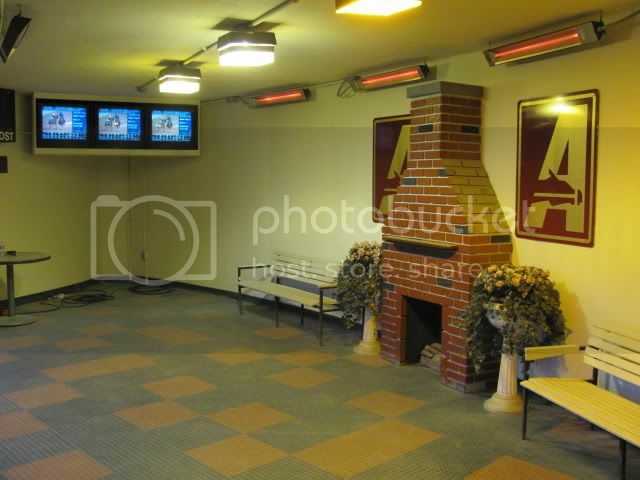 Former site of the flea (more like bedbugs!) 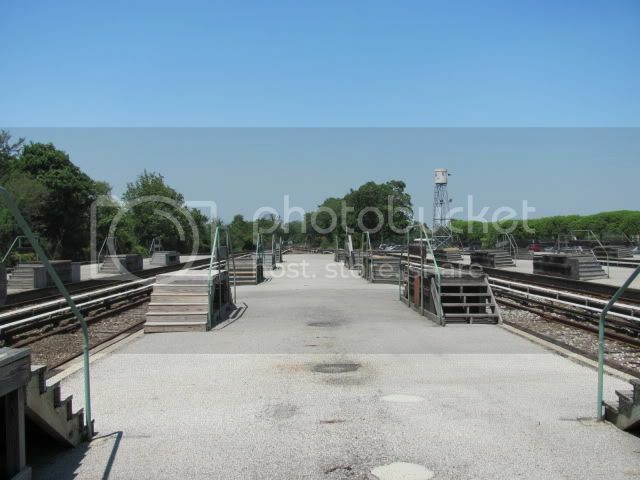 market and where patrons used to cut across to get to the track in a more expedient time. 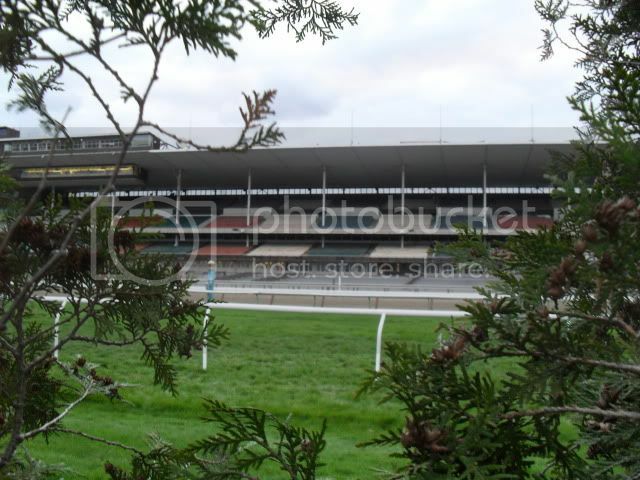 The current construction at Aqueduct is not the first time this track has had a face-lift. 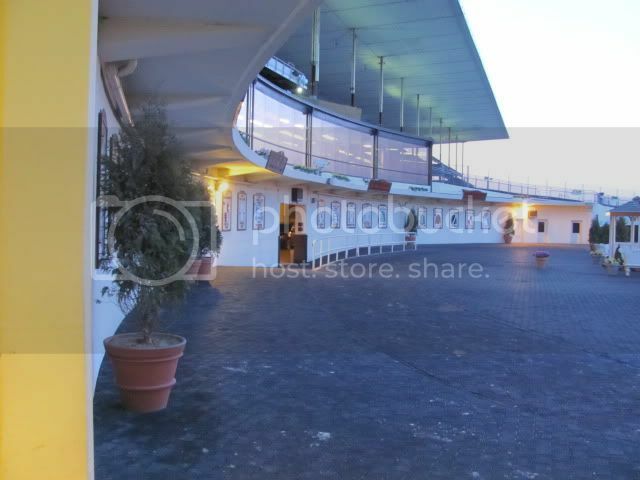 Back in the eighties the third floor restaurant was added and around a decade ago the paddock was altered. 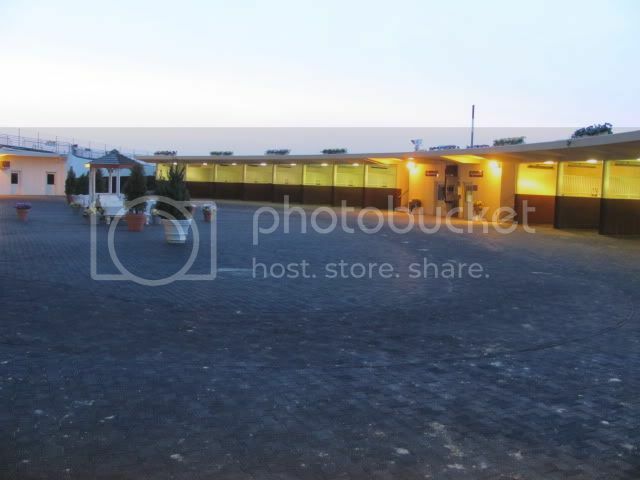 The original paddock had the stalls on the opposite side of where they are now and the winner's circle was located close to track side on the grandstand side. 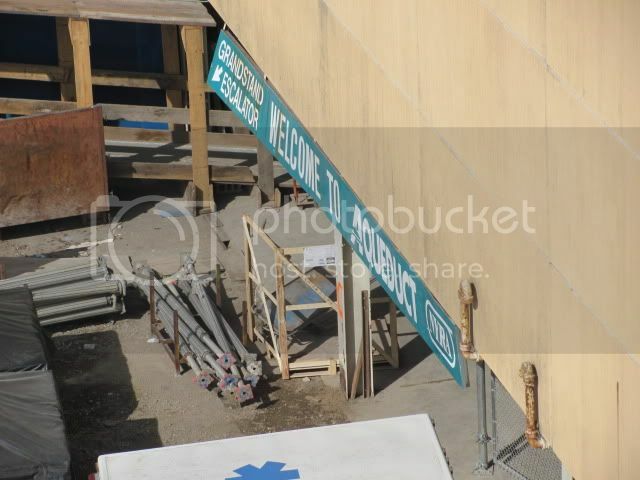 Also, the paddock stands were not closed in like they are now. 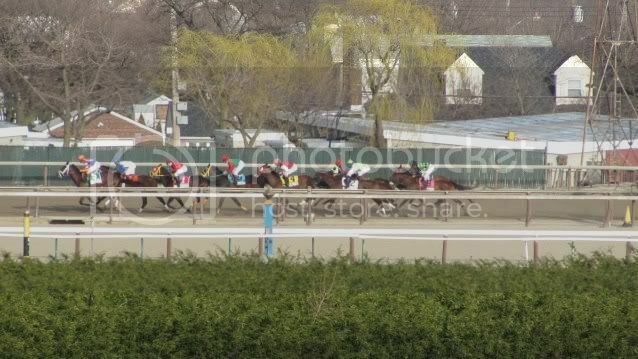 If you wanted to look at the horses before the race, you had to brave the elements to do so. This weekend marks two milestones in the year that signify that spring is here, Keeneland runs its April meet loaded with stakes action and the return of grade one racing to New York. 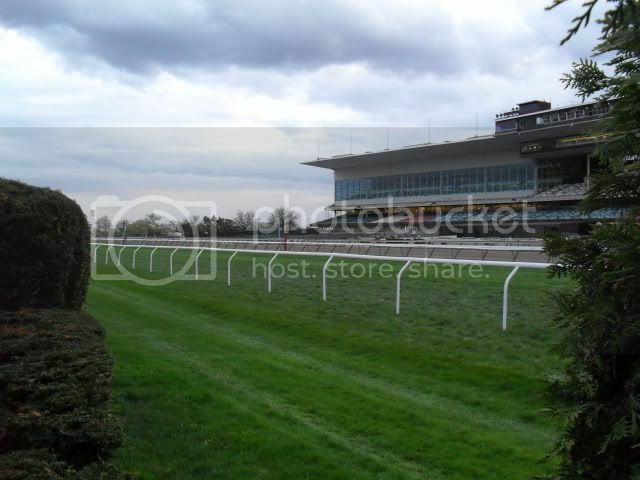 Keeneland has gone from a massive speed favoring dirt surface and closer friendly turf course to a racecourse with a pair of surfaces that tend to lean towards horses that have closer tendencies. That being said, it does make handicapping that meet easier, just avoid 90% of the card and play the featured race of the day. This race was moved from a week past the Wood Memorial to the day of the Wood. Ruffian and a few other Hall of Fame fillies have won this race. It is now a grade three that annually features a variation of Florida shippers that have had minor stakes or allowance victories before shipping up and the grizzled runners that have wintered in New York. Royal Sighting broke her maiden by twelve last out and is immediately stepped into a stakes race. This horse had an unusual path to the winners’ circle in her most recent start. Patrick Kelly’s horses usually drop back early and make a sustained bid in the later stages of the race, Evening Attire did this and so did Naughty New Yorker. Royal Sighting went immediately to the lead and never looked back, in previous starts she was fifth or further back in the early stages before trying to make a run. This race used to be a stepping stone towards the Wood Memorial. Secretariat won this race in his three year old debut and then went on to the Gotham and the Wood Memorial before Triple Crown immortality. Other notable winners of this event are Lost in the Fog, Gulch, Bold Forbes, and Damascus. That is quite a roll call for a race that is a purse downgrade from being a listed stakes race. J J’s Lucky Train tried his luck at the two turn stakes races at Aqueduct in January and February with a pair of second place finishes. 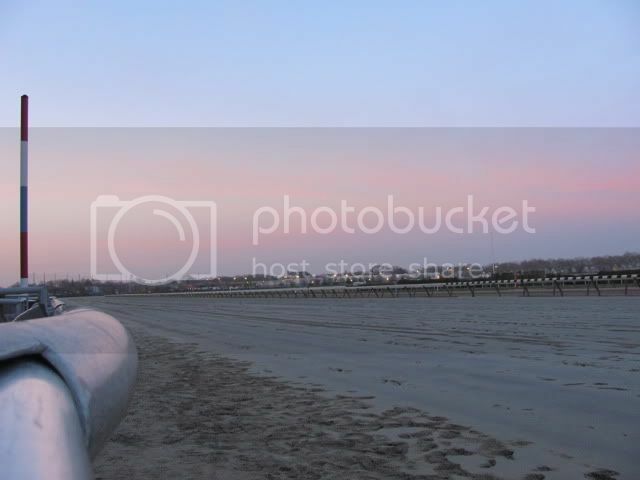 He won a seven furlong race at Laurel on February 26th where he dueled all the whole way with Bandbox, who went on to win the Miracle Wood Stakes in March at Laurel. Steve Assmussen won this race with J Be K in 2008 after a poor showing at Fair Grounds. This year Justin Phillip is Assmussen’s entry and he had a weak showing in two stakes down in the bayou. Justin Phillip is going to have to be at his best to win from the rail with other speeds lined up outside of him though. The first half of the Repole double is entered here with Calibrachoa, I set the over/under on that double at six dollars on a two dollar wager. Have You Ever is once again entered as a rabbit to ensure a quick pace for his stable-mate. Apriority probably will take a lot of action here as well, he had a monster race last out running three seconds faster than the average time for the distance. Morning Line has had some tough luck in recent starts with second place finishes in the Donn Handicap and Breeders’ Cup Dirt Mile after doing much of the grunt work on the front end. From the looks of it, this race will have a swift early pace. Uncle Mo will probably go off 1/9 here. In terms of value when betting on favorites, there is next to none. With a horse like Uncle Mo, getting 3/5 would be a mixed blessing. Getting sixty cents on the dollar on a horse that usually goes off insanely short and has yet to taste defeat means that you are getting a slight edge on the pari-mutuel competition. On the negative side it also could be a foreboding sign of a negative outcome, so you see why betting favorites is a difficult proposition. First Impression: A deep closing three years old colt trained by Zito, this seems familiar. The case for this horse winning the Derby: Usually the pace of the Derby is extremely fast and horses who come off the pace fare well in this type of scenario. Case Against: The same tactics that give Ice Box an edge over his front running rivals also could work against him. The Derby has more traffic tie ups than midtown Manhattan during the afternoon. Zito once again has a Derby runner after being prominent, but not winning any of the three spring classics last year. This one is probably better than the contemporary that he mirrors, Ice Box. Last year Ice Box went into the Derby with maiden and an upset win in the Florida Derby. Dialed In has three decent efforts to his name this year and a start at two for some classic foundation. 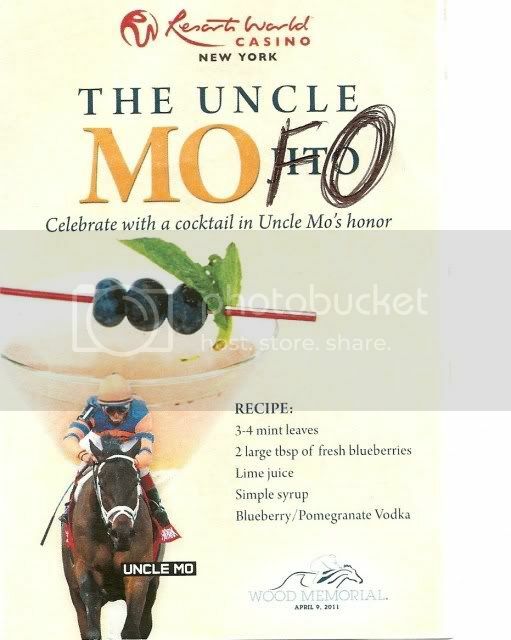 If Uncle Mo doesn’t make the race he could end up being the favorite. If the juvenile champ does run, then Dialed In will probably be one of the commonly used alternatives to Uncle Mo. The key with the closer types is the works leading up to the race. If a closer shows bullets or fast works leading up to a race, the horse is ready to run a big one. First Impression: Didn’t Mine That Bird run in the Sunland Derby race two years ago? The case for this horse winning the Derby: That last two dollars in my wallet won’t spend itself. Case against: This race consisted of third stringers and Astrology coming off a November layoff. The Sunland Derby is on par with the Delta Downs Jackpot as a grade three cash grab to secure a spot in the most famous race on the calendar year for racing. Usually around this time of the year there is a call for reform to the entry system for the Derby, it is usually made by people who want to see a certain horse entered with the though that the gate is not complete without that particular horse entered. 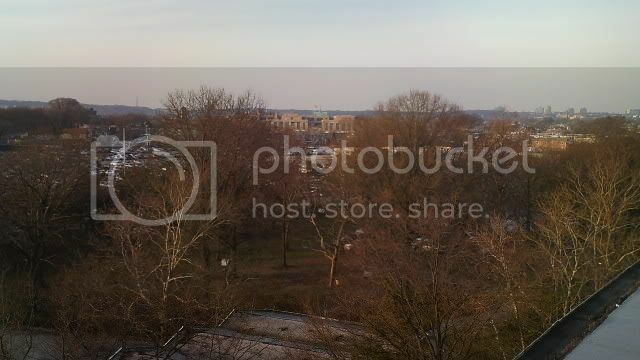 Eddington comes to mind for this example. Last year Drosselmeyer’s fans were bristled by the fact that he did not have sufficient earnings to make the field, tough luck. At this time of the year it is about survival of the fittest, chances are that if you don’t have the dough you missed a chance or two to make up the ground on rivals in the earnings department. In addition to that, there is a field limit of twenty so there are plenty of spots available. First Impression: Where did that last race come from? The case for this horse winning the Derby: This prep race is so overdue for a winner. Case against: He got away with an easy cadence tracking an astronomical longshot early on and just had enough left in the tank to hold off a recent maiden winner Nehro. The favorite, Mucho Macho Man had a wide trip and faltered late. The highly touted Elite Alex was marooned in post 12 after scratching out a week earlier in the Rebel because of a bad post draw. The intrepid eleven winners of the Louisiana Derby who have attempted the Derby (1997-2010): Mission Impazzible, Fresian Fire, Pyro, Circular Quay, High Limit, Wimbledon, Peace Rules, Fifty Stars, Kimberlite Pipe, Comic Strip, Crypto Star.